For students, back-to-school shopping may be the best part about heading into a new school year. 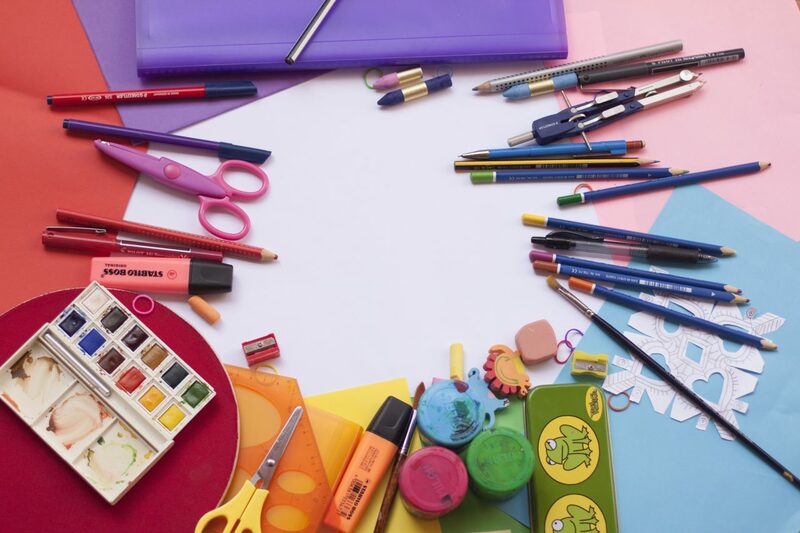 Brand new sneakers, fresh new jeans, crisp blank notebooks, and sharp pencils with bright erasers, are just some of the items students may enjoy at the beginning of the school year. All of this back-to-school shopping, although exciting for the kids, isn’t cheap. And money doesn’t grow on trees. It’s easy to wrack up a bill. Within an afternoon of shopping, you could end up with an astronomical bill for clothes, school supplies and electronics. It’s only worse if you have more than one school-aged child. However, shopping at this time of year doesn’t have to be prohibitively expensive. At Picniic, we know that you work hard as a parent to provide for your family. That’s why we’ve come up with some helpful tips and tricks that can save you money during the back-to-school shopping rush. If you’re shopping without a list, anything goes! So, focus your back to school shopping on a list of items your child needs so that you won’t be tempted (or swayed by begging) to purchase lots of extras. Many schools will give you a list of supplies to purchase. This is a good place to start. However, remember that clothing, shoes, electronics, backpacks, lunch boxes and more, also sneak their way into your back to school shopping spree. So, go through your child’s closet and check out their backpack to see what essentials they really need. If the backpack is still in good shape, why buy another? Then, write your list (use Picniic’s Shopping Lists for easy storage and access) to include these essential items. This will guide your purchases and help you stay focused. Before you hit the stores, check out the supplies you may already have at home. Dig through your desk, check out your child’s room and don’t forget closets! You may have a hidden supply of notebooks, lined paper, pencils and other items. Taking this stash into account will save you from purchasing even more excess. Kids go through clothes so quickly! It’s sometimes impossible to keep up. But, for the same reason, many children outgrow clothes before they even appear used. So, that means thrift shops can be the perfect place to find essentials like jeans, t-shirts and even jackets! If your kids aren’t excited about wearing thrift store clothes, you can always compromise and buy a mixture of new and used clothes. Staples, Walmart and other big box stores are often the first stop for purchasing back to school items. However, don’t forget about the Dollar Store and other discount stores. These stores often have great basic items on your school list like Kleenex, hand sanitizer, pencils, paper and more. Cross-check prices to make sure you’re getting the best deal! A few minutes perusing the Sunday paper might earn you serious discounts! You can also often find coupons to print out online. All you have to do is make a quick visit to store websites and social media sites to find the coupons. Picky kids? Get them involved! Back-to-school shopping can be an opportunity for a quick lesson in budgeting and math. In addition to explaining your budget and how you made your list of what to buy, you can also offer your child some choices. For example, if your child wants to splurge on a trendier item or purchase a new backpack that’s not on your list, you might suggest that your child uses allowance money to purchase these items. Other parents make accommodations in their budget if their child works for items by doing extra chores. Another option for older children is to offer them a budget for clothes and then leave them in charge of what they purchase. Just make sure you provide guidance and supervision so that your child purchases school-appropriate clothes. Despite the back-to-school shopping sales, there are typically better deals on clothes in late September. If you can squeak by the first few weeks of school with just one new outfit, you can take advantage of these sales to buy the rest. After school activities like sports and clubs are often costly. While it’s great to encourage your child to be involved in extracurricular activities, it’s important that you can also afford them. Parents of more than one child especially may consider imposing a limit such as one activity per child, or something similar. This can help keep expenses down and also ensure that your child will have enough time and energy to focus on academics. For older students, a computer can be essential to make it through the school year. Other parents may want to purchase their child a phone or tablet. If you’re including electronics in your back-to-school shopping, these items are likely the most expensive on your list. So, you have to be smart about your purchases! There are tools available such as camelcamelcamel.com that help you track prices on Amazon to find the best deal. Alternatively, you can consider waiting for Black Friday sales to appear which can start as early as October. Otherwise, keep your eyes peeled for sales, coupons and price matching opportunities. The good thing is that the back-to-school sales can offer some great deals on essential supplies. So, seek out the sales, especially in late summer. You may be able to get some great bargains on the items on your list. With a great plan and a solid list, you can make it through your back-to-school shopping without rocking the family budget. Do you have back-to-school shopping secrets that save your family a bundle? Tell us about them in the comments below!